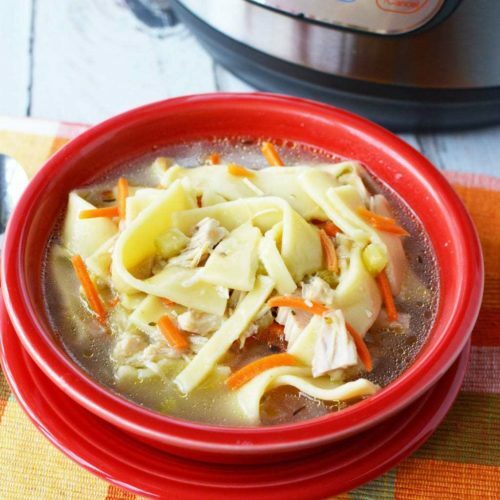 When those outdoor temperatures start to drop, there’s nothing better than a nice big bowl of Instant Pot Chicken Noodle Soup. The great thing about this homemade soup recipe? Your Instant Pot does all the hard work for you! 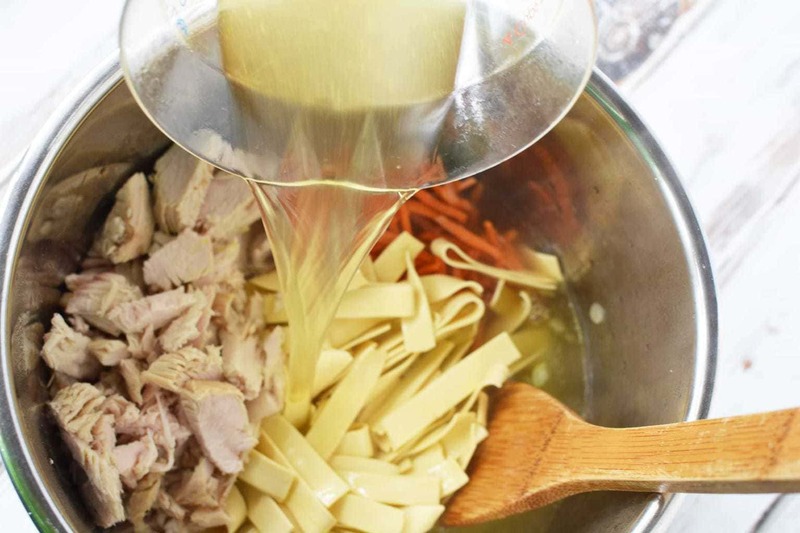 A little bit of prep, and a teeny bit of patience, and before you know it, you’ll be enjoying some of the most hearty and delicious chicken noodle soup that your taste buds will love. 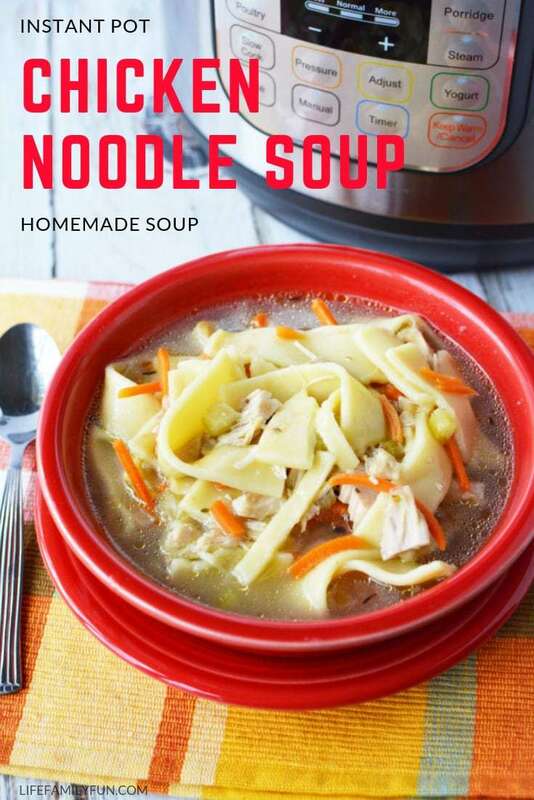 While this IP Chicken Noodle Soup tastes great for dinner, rest assured that it’s also just as tasty as a leftover lunch or dinner the next day as well. If it were an option to eat a hearty soup for a meal every night during the cold, cold winter months, would you? Treat yourself and your family to this delicious and simple soup recipe. You’ll never want to have the canned “stuff” ever again! Place oil, onion, and celery into the Instant Pot and saute until onions are translucent. If you choose to use raw chicken, you’d want to cut it into 1/2″ pieces (try a chicken breast or boneless, skinless chicken thighs) and saute until brown with the onion, oil, and celery. 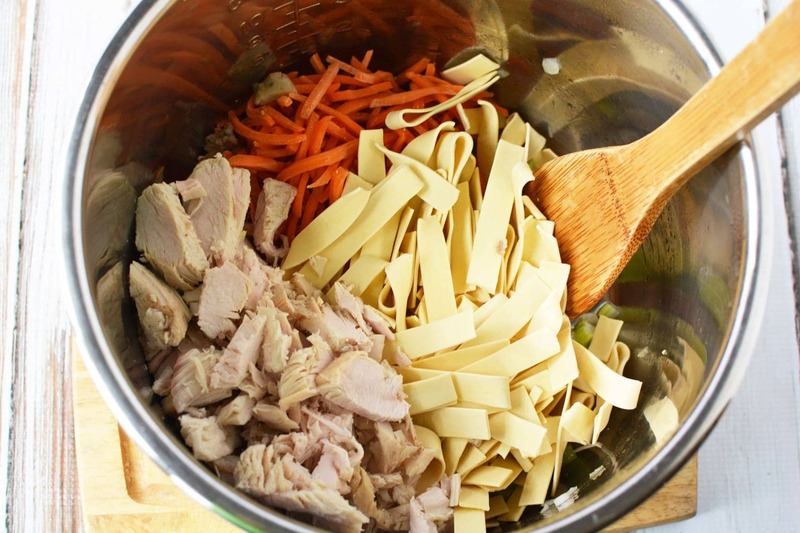 Add carrots, broth, spices, chicken, and noodles. Mix well. Place the lid on the Instant Pot and seal shut. Close the pressure release valve and set the instant pot to manual, high pressure for 5 minutes. When the cooking cycle is complete, quick release the steam and open the pot. 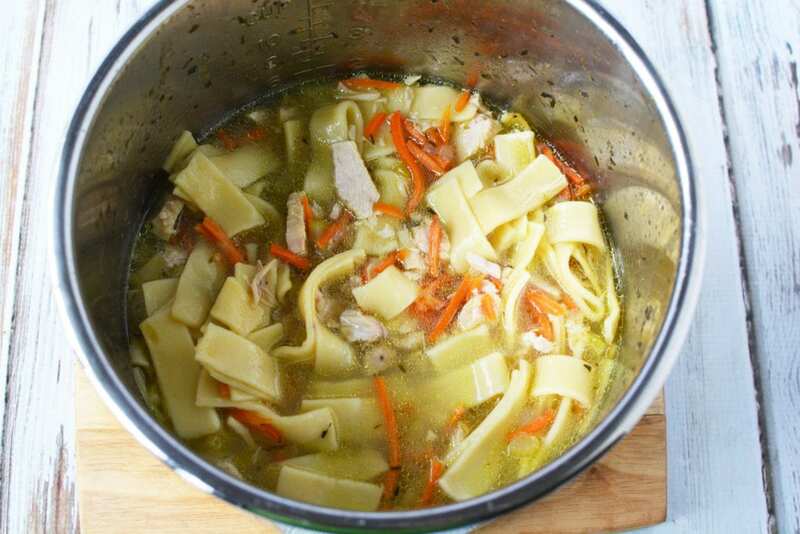 While this IP Chicken Noodle Soup tastes great for dinner, rest assured that it's also just as tasty as a leftover lunch or dinner the next day as well. If it were an option to eat a hearty soup for a meal every night during the cold, cold winter months, would you? 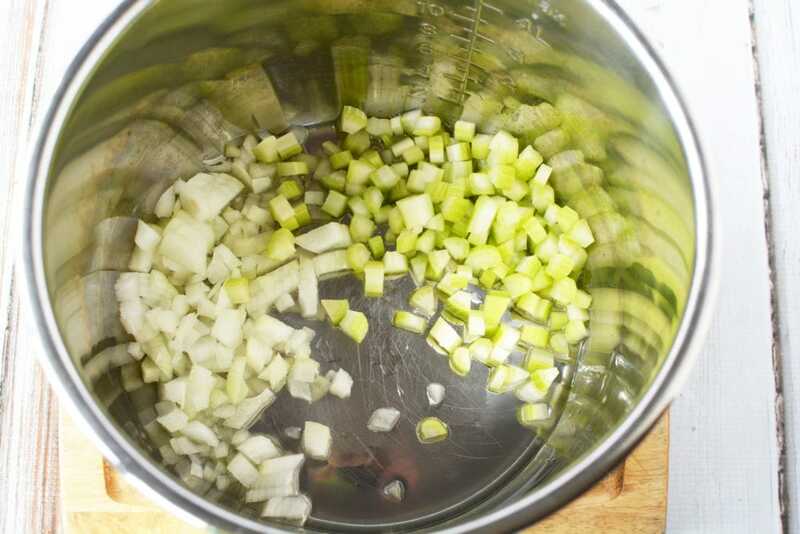 Place oil, onion, and celery into the Instant Pot and saute until onions are translucent. If you choose to use raw chicken, you'd want to cut it into 1/2" pieces (try a chicken breast or boneless, skinless chicken thighs) and saute until brown with the onion, oil, and celery. Close the pressure release valve and set the Instant Pot to manual, high pressure for 5 minutes. When the cooking cycle is complete, quick release the steam and open the pot.